Calling public benefit organizations: How can we help you? Is your non-profit or community organization in need of technology help? Do you need help with your website, setting up WiFi at your office, or learning how to use Twitter? If so, Mozilla would love to hear from you! Help build or upgrade a website. Teach you how social networks and Twitter can help you find new members and supporters. Set up a wireless network at your office or meeting place. Translate your offering into another language. Show you how to use VoIP (Internet telephony) to help reduce your costs. There are countless ways technology could help improve the great work you do, and the Mozilla community wants to help make that difference. How can your non-profit or community group get help? We are working with the volunteer organization Idealist, so if you already have a need in mind, you can register your organization at Idealist and describe the technical help you are looking for. Mozilla’s volunteers are searching Idealist and will locate your organization. You can also find out more on how to list your needs and find volunteers on the Mozilla Service Week website. Furthermore, if you need additional guidance you can contact us. You can already start helping by contacting and checking in with organizations. Please talk them through what they need to do, and even help them post. 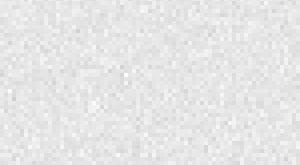 The Mozilla community has a history of changing the the Web in all kinds of amazing ways. 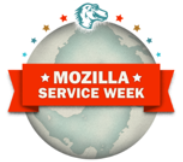 Join us for Mozilla Service Week, as we help you change the world.